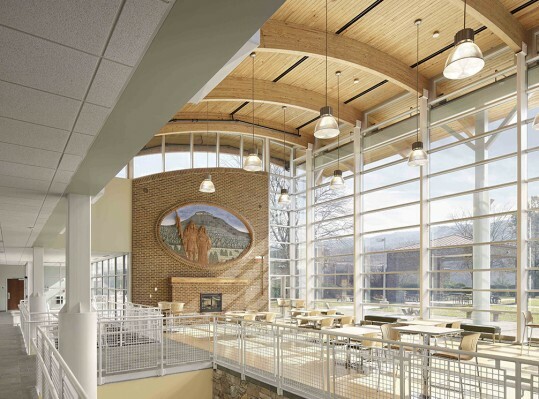 Southwest Virginia Community College (SVCC) is a campus constructed on a mountainside ridge with spectacular views of distant mountains. 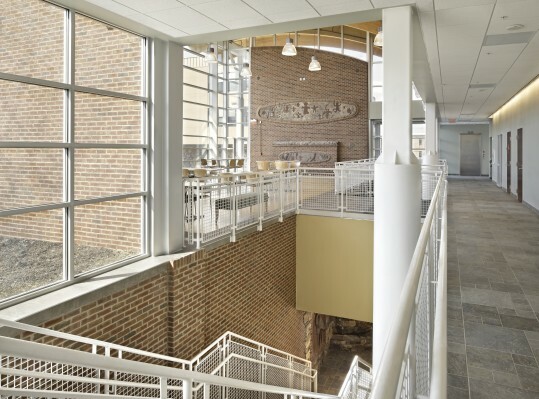 The Learning Resource Center (LRC) is at the center of campus and contributes to the connection between the upper and lower campus buildings, which are separated by a vertical grade change of 70 feet. 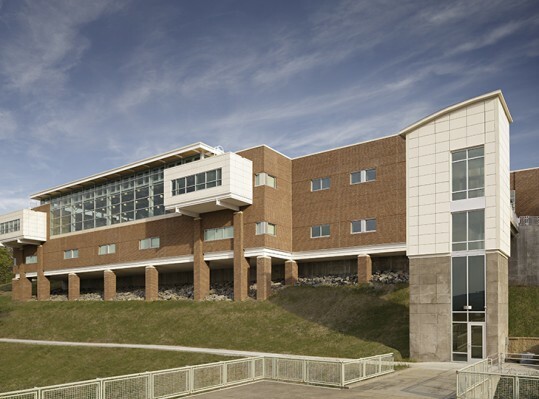 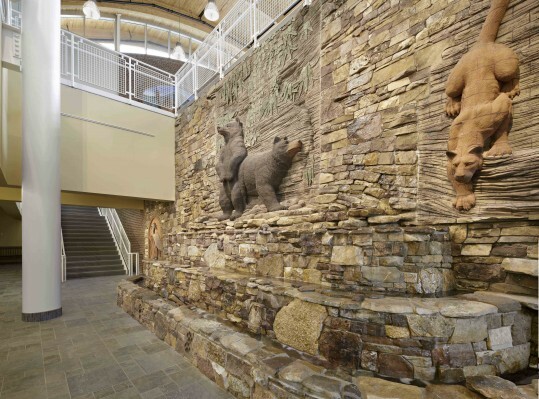 This 44,000 SF facility houses the campus library, Learning Activity Center, Distance Education Program, and the ODU Teletech Net Program for the Southwest Virginia Community College. 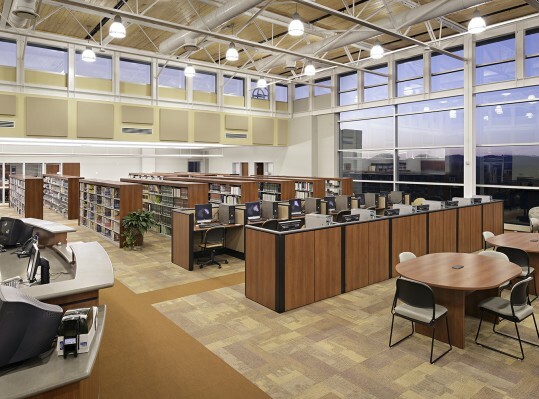 The Library encompasses approximately 15,000 SF, there is approximately 4,000 SF of administrative space, six distance education classrooms, TV and broadcast facilities, and associated support space. 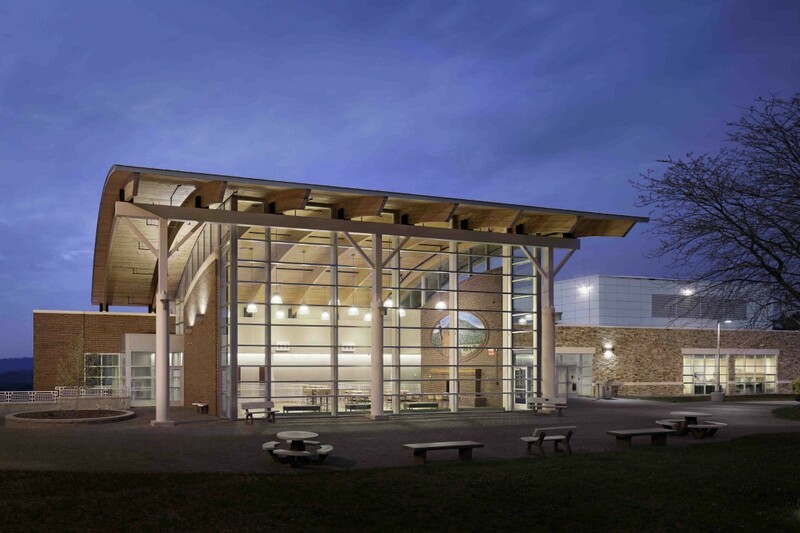 The building was designed to be the symbol and center of communication and electronic teaching. 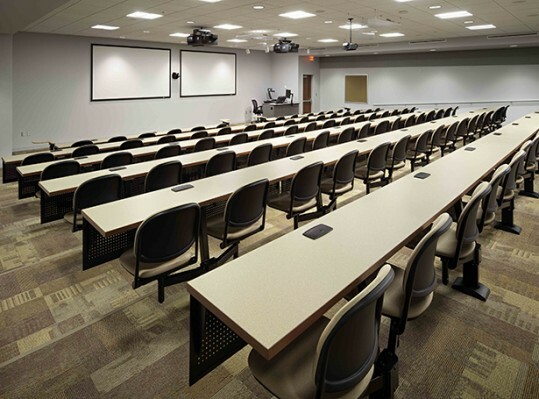 In addition, the LRC brings some definition and focus to the physical campus.